With a passion for diversity and healthy appetite for the creative expression born of the collision between the traditional and the contemporary, BEMAC is stoked to reveal the lineup for our 2018 BIGSOUND Party. Taking place on Thursday, September 6 at The Elephant Hotel, Fortitude Valley BEMAC’s Showcase will feature three emerging Brisbane artists / acts of culturally diverse backgrounds, who are carving out their own unique sound. Noralyn is a Brisbane-based alt pop singer-songwriter of Filipino heritage. With evocative lyrics and melodious hooks, Noralyn’s immersive melodies are brought to life by an emotive voice and distinct piano-driven sound, which reveals hints of classical influence among pop sensibilities. BEMAC’s party is taking place from 12.30pm to 2pm on Thursday, September 6 and features Noralyn, Pistola Ave. and Ofa Fanaika. Pistola Ave. is a collective of artists from Brisbane composed of emcees Danny Escobar and Chong Ali and songstress Amy K Ashton. Best known for their previous work under the rap group EMR, Pistola Ave. regrouped in 2015, creating music with a new level of imagination. 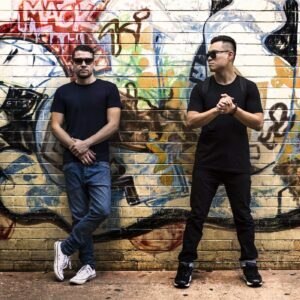 The 2017 release their album ‘Pistola Ave. – EP’ with All you got featuring Brisbane band ‘The Fling’ released as the lead single, hit airwaves in Australia, the U.S, Japan and the Republic of Korea to wild enthusiasm. 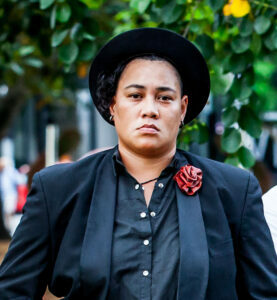 Singer-songwriter Ofa Fanaika has amassed a large local following over the past decade through her powerful solo shows and involvement with popular reggae/dub act Chocolate Strings. A talent whose raw passion and soul is as mighty as her stage presence. Just as our artists continue to push boundaries, stereotypes and perforate the conventional with their genre-bending, time-warping expressions that honour cultural traditions while embracing contemporary experimentation, so too BEMAC continues to challenge the archetypes of cultural diversity, reframe the lens of multiculturalism within the musical landscape of modern Australia, and in so doing, push the margins further off the page. Come along to this BIGSOUND Showcase on September 6 to see, feel and hear how BEMAC allows worlds to collide, in the most magical way.